Here’s what’s happening in the world of television for Friday, January 25 and Saturday, January 26. All times are Eastern. 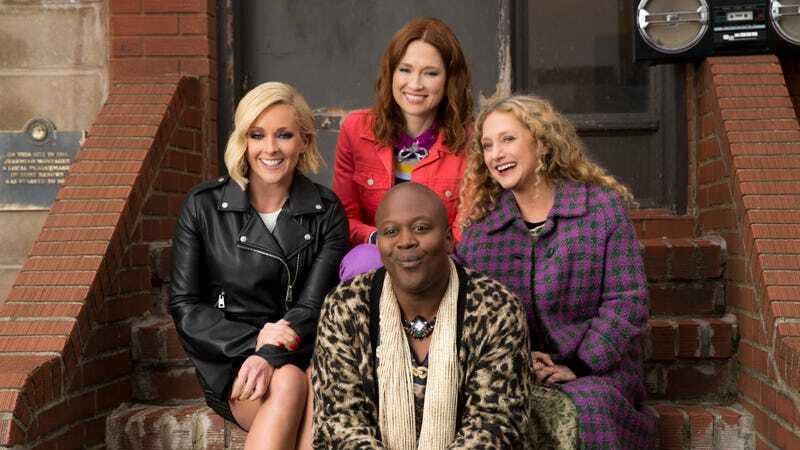 Unbreakable Kimmy Schmidt (Netflix, Friday): She may be alive, she may be unbreakable, but Kimmy Schmidt’s story of discovery and perseverance after 15 years of imprisonment in an underground bunker couldn’t last forever. (Dammit!) But at least now—after part four’s midseason split—we finally have access to the last six episodes. If the previous three seasons showed Kimmy adapting to life outside of the bunker, the show’s final run centers instead on her recovery. As Kimmy began to process her buried trauma, she learned to do with it what she does best: turn it into something positive. Now, she’s sending that positivity out into the world in a bid to guard young boys against the evils of misogyny... before it’s too late! These final episodes are as much about looking back as they are about looking forward, reminding us of how much the characters have grown. Expect to see what Ellie Kemper called “a very loving send-off,” complete with more of the show’s flair for the bizarre, more almost-too-quick-to-catch one-liners, more musical numbers, and more irresistibly lively, unbreakable spirit. Kayla Kumari Upadhyaya has the review. Black Earth Rising (Netflix, Friday): Kimmy Schmidt may have found humor and optimism in and in spite of its lead’s horrific past, but this new Netflix drama—originally released on BBC Two— explores the very real and painful daily reverberations of past trauma. This contemporary thriller by The Honorable Woman and The Shadow Line writer-director Hugo Blick follows Kate Ashby (Chewing Gum’s Michaela Coel) who, after being orphaned by the Rwandan genocide, was adopted as an infant and raised in London by an international human rights lawyer (Sense And Sensibility and The Young Victoria’s Harriet Walter). Now an adult investigator recovering from a recent suicide attempt, Kate is incensed when her mother agrees to prosecute a militia leader who fought to end the Rwandan genocide. It also stars John Goodman. This well-received miniseries promises to grapple with challenging ethical questions, offering a complex study of what it’s like to live with emotional and physical scars, to cope with inherited trauma, to feel displaced, and to confront a past you can’t even remember.